Published in 1856, Gustave Flaubert’s Madame Bovary was kind of obscene for tastes of the time. The book depicts the eponymous Emma Bovary have several affairs. The fact that it was put on trial for obscenity ensured the publication’s success. It became – and has largely stayed – a popular novel. Emma Bovary is a bored woman. Really bored. Despite that she had by all means a ‘good education’, in her particular place and time she had little opportunity to actually use it in a career or through public activity. She’s stuck playing piano and reading books, but she feels it’s pointless as it makes no difference and a horrible malaise sets in. She suffers from bouts of impatience and agitation. Infidelity and shopping are her go-to distractions of choice. Unsurprisingly, they don’t help in the long run. 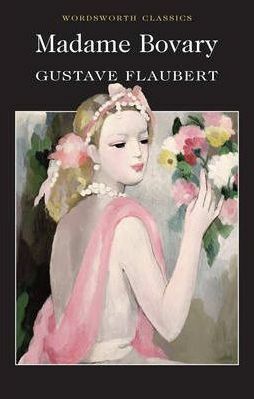 Flaubert accurately describes ‘the problem with no name’, the situation of educated women stuck at home and bored out of her minds, more than one hundred years before the problem was addressed in Betty Friedman’s The Feminine Mystique, and around 150 years before the first screening of The Real Housewives of Orange County. Emma’s husband, Charles, is a good sort. He doesn’t really ‘get it’ and is quite a boring man, but he cares a lot. I felt bad for Charles when Emma has her affairs, but still, the novel never condemns her. It’s sympathetic towards her plight, even if she has the tendency to be overly dramatic, verging on hysteria. When Emma is pregnant, she hopes her baby is a boy. Her thoughts on this matter summarise the novel – ‘this idea of having a male child was like an anticipated revenge for the powerlessness of her past. A man, at least, is free; he can explore each passion and every kingdom, conquer obstacles, feast upon the most exotic pleasures. But a woman is continually thwarted. Both inert and yielding, against her are ranged the weakness of the flesh and the inequity of the law. Her will, like the veil strung to her bonnet, flutters in every breeze; always there is the desire urging, always the convention restraining.’ She has a girl. If you couldn’t already tell from the description so far (or perhaps assume since it is a French novel), the story ends in tragedy. Due to mounting debts, Emma decides to poison herself and dies dramatically. The loving Charles mourns her until his own sudden death. Their child is sent off to work in a cotton mill. Yes, it’s that kind of story. This entry was posted in Books, Featured and tagged book review, books, books you should have read by now, france, Gustave Flaubert, literature, madame bovary, Review. Bookmark the permalink.